Being a responsible adult for me means paying my bills on time, having a work/life balance, and bringing food to the table. Of course doing all these isn’t as easy as it sounds.There’s always so much going on that sometimes I don’t have enough time to run errands. When I do have spare time, I’d rather use it to take a nap or catch up with friends. Since I have found out about Honestbee, it has become a huge part of my shopping routine. I no longer have to rush to the grocery store before heading home or stand in long lines at the checkout counter. This food and grocery delivery app gets the job done for me and has saved me so much time. Prices online are not different from the physical stores either which is what inclines me to keep using the app. And because I only shop every other week, I make sure to get everything I need – meat products, canned products, toiletries, etc. I usually reach the minimum amount of P2,500 so I almost always qualify for free shipping. The delivery time is impressive, too. 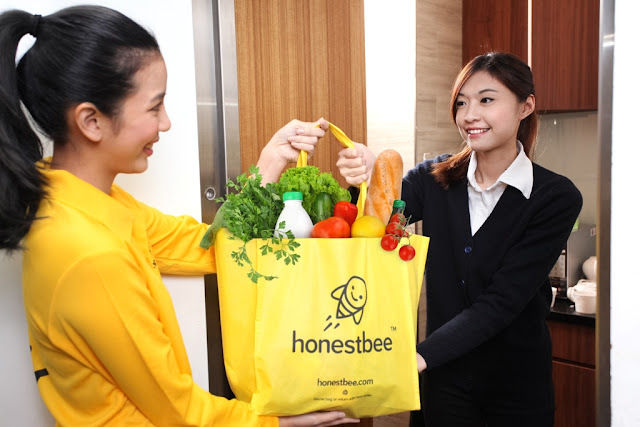 Unlike other grocery apps, Honestbee has same day delivery so you’re guaranteed to receive everything in good condition. You also get to choose which time you want your items to be delivered in case you will be out or there’s no one at home to receive it.